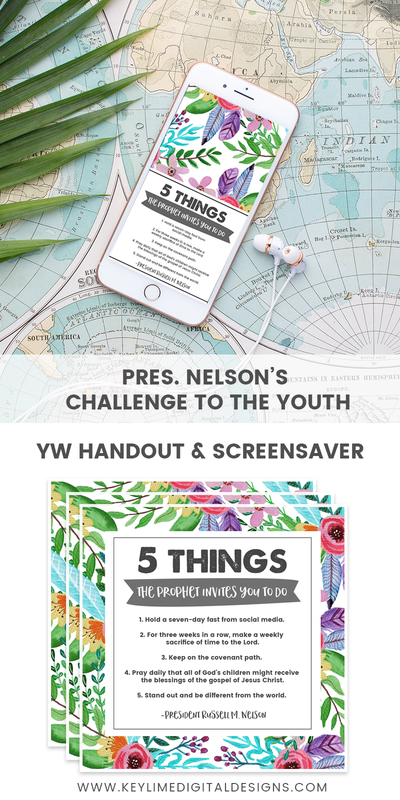 President Nelson’s Challenge to the Youth – Handouts to help keep them on track and remember the counsel from the prophet! In a special devotional in June President Nelson of the LDS Church spoke to the youth and gave them a challenge! 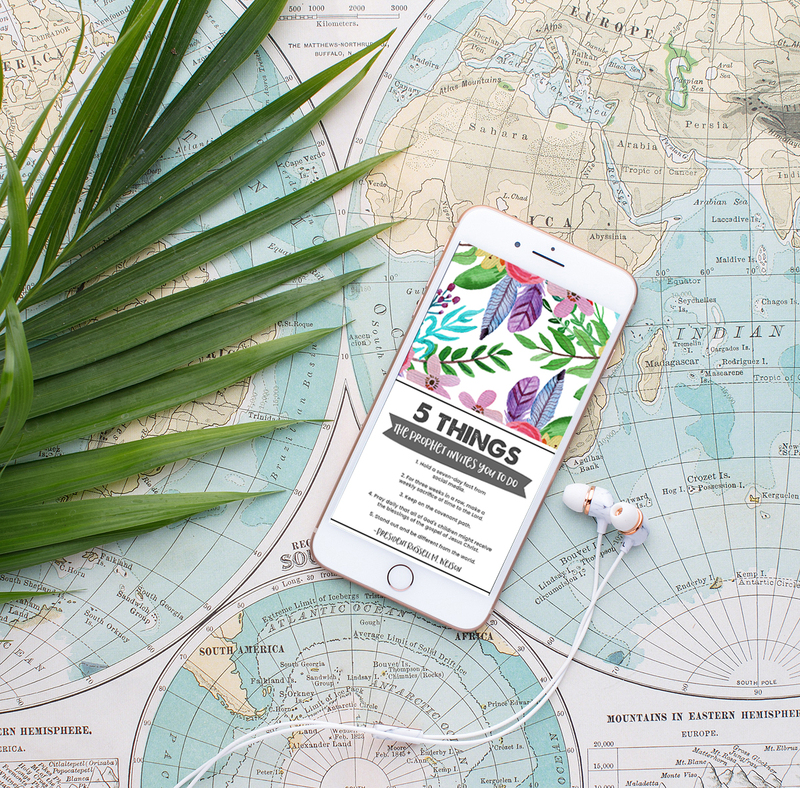 Well he listed 5 specific challenges, things they can do that will make their life better! Isn’t it so cool that the youth were able to DIRECT instructions from a prophet on the earth today! AMAZING! I’m not youth age but I know I am going to try and follow this counsel as well! 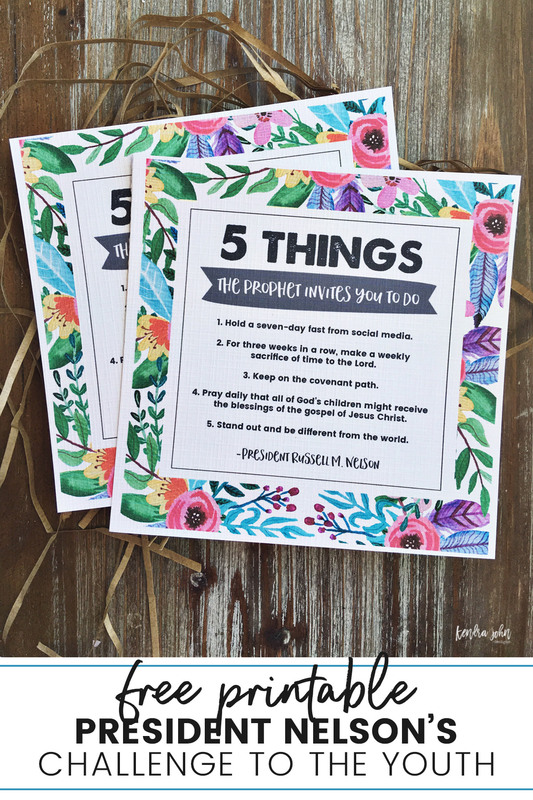 I have created a few handouts you can give to your Young Women to help keep them on track. I have also uploaded a few screen savers they can use as a backgrounds on their phone! 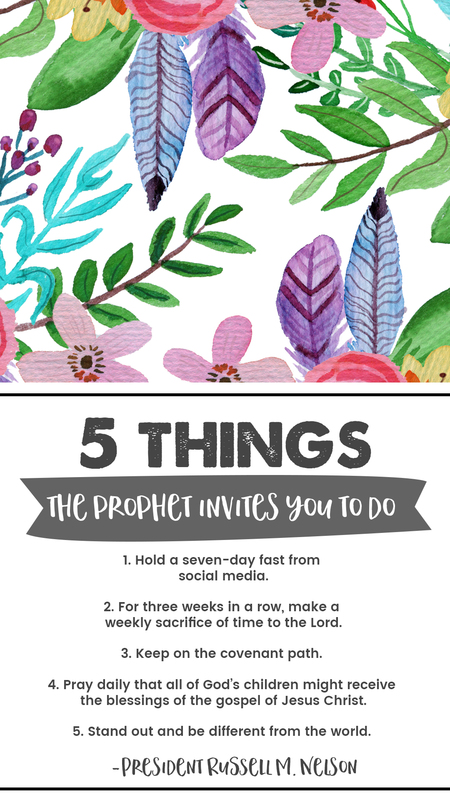 I have used this background on my phone for a few days now and already I love this each time I pick up my phone I am thinking about the prophet! Here is the screensaver image. You can just save it to your phone! Or scroll down to download the PDF. from President Nelson’s Challenge to the Youth! These are so pretty. I’m a seminary teacher and plan on downloading the challenge to my phone. Thank you very much! Thank you SO much for these adorable printables. 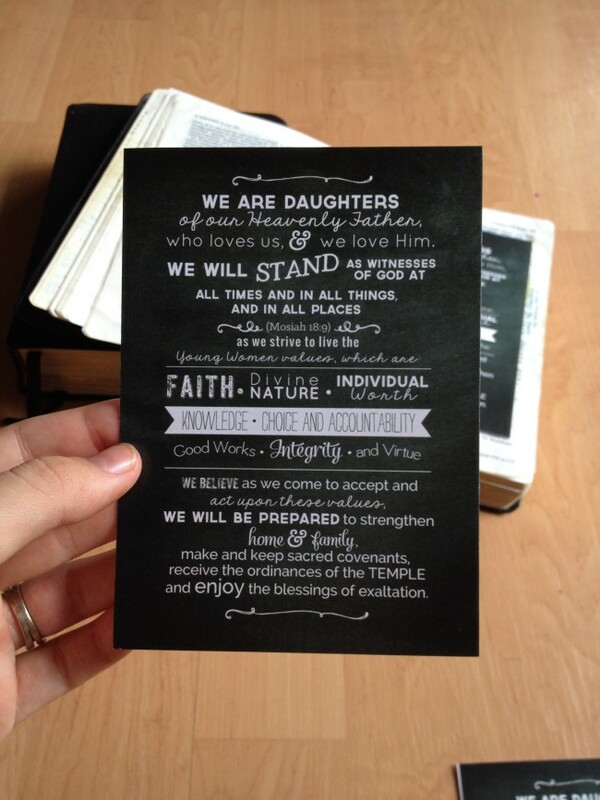 I am using them in my YW class on Sunday. I searched the internet all over to find something just like this. You are awesome for sharing these for free. What a gift. So glad you like them and are able to use them! 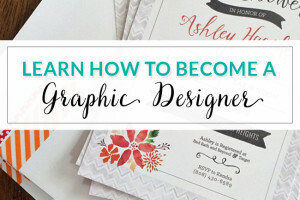 These printables are the cutest!! I will definitely be printing these out for my Young Women. Thank you so much for taking the time to do this!!! I like the printables. The very first line of it touched my heart. 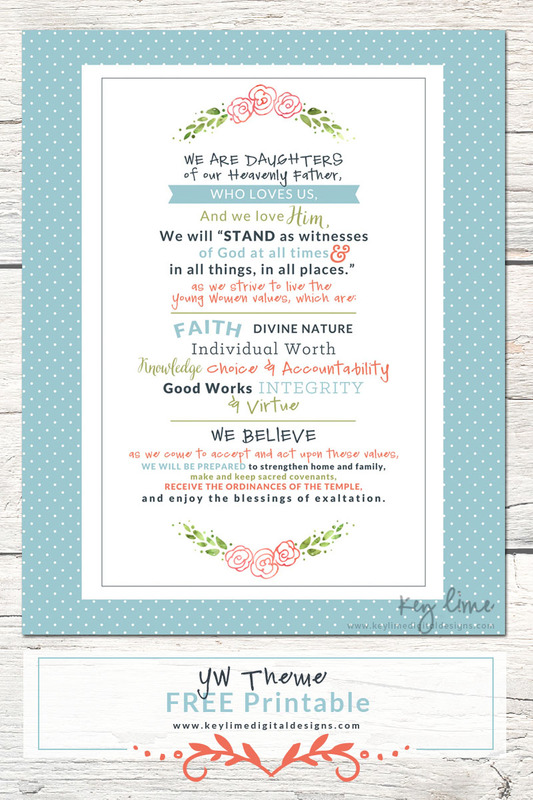 We all are indeed the daughters of our heavenly father. 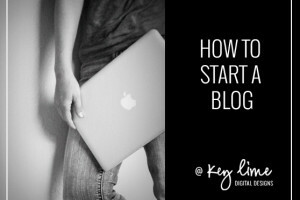 I teach institute and came across your blog as I was preparing to teach my young adults what the prophet taught! I love how you are sharing your talent! Thank you for doing that!